Okay guys, this will be the last post written by me (key words “written by me”) for a little bit. 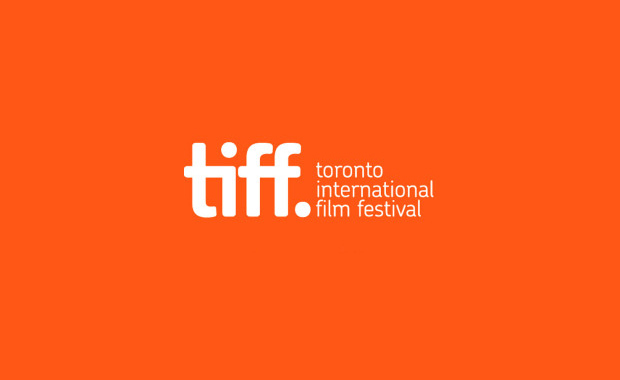 TIFF is officially underway today and I am soon to be on my way downtown for the festivities. So for the next 10 days, I’ll try my best to post reviews for the films I see at the festival as quickly as I can. Look forward to a new segment launching tomorrow. Oh, and let me know what you think of the new site layout/set-up! Very rarely does a film so authentically capture the bittersweet, infuriating, and most private moments of a relationship. Joe Swanberg’s “Drinking Buddies” accomplishes this feat with flying, albeit, melancholic colours through the observation and dissection of multiple, interweaving bodies. Perhaps what’s even more disconcerting than the film industry’s inability to steadily and genuinely recreate films that display such universal emotions, is its refusal to acknowledge and rigorously promote the ones that do. 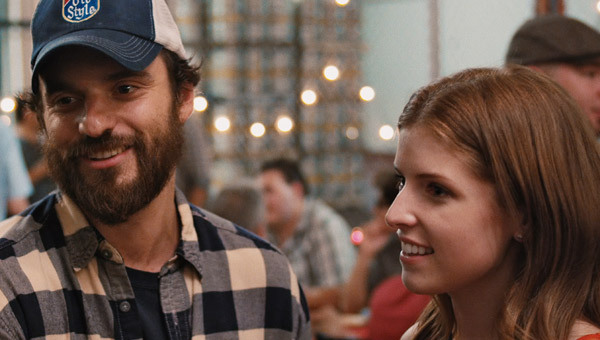 Regardless, “Drinking Buddies” is poignant, funny, and adamant in its portrayal of disheartening, yet rewarding bonds. 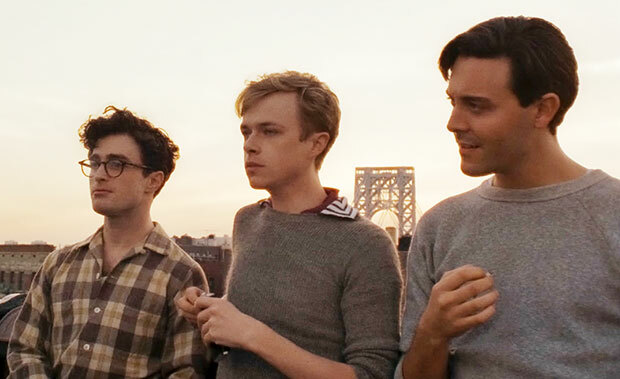 Tossed in alongside Swanberg’s swift, structural direction and marvellous performances from the entire cast. This whimsical, visceral romantic comedy has overcome its limited release and every obstacle thrown to steal even the most critical cinephiles heart. Kate (Wilde) and Luke (Johnson) are good friends and co-workers and at a Chicago brewery. The two spend their days working and the nights drinking with their co-workers and significant others. And even though the two are very flirtatious with one another, they are very devoted and in love with their other halves. Kate is with Chris (Livingston) and Luke is with Jill (Kendrick). While Jill and Luke occasionally discuss marriage, they both agree the timing is not right. Soon, the two couples paths cross and they eventually become good friends. Having planned a weekend at a cottage together, the couples prepare for a night amongst the wilderness, but are soon faced with difficult, life-altering decisions and situations. Trust me, it’s not what you think. Granted, there isn’t anything overly unique about the themes or settings, and the story is nothing we haven’t heard before. 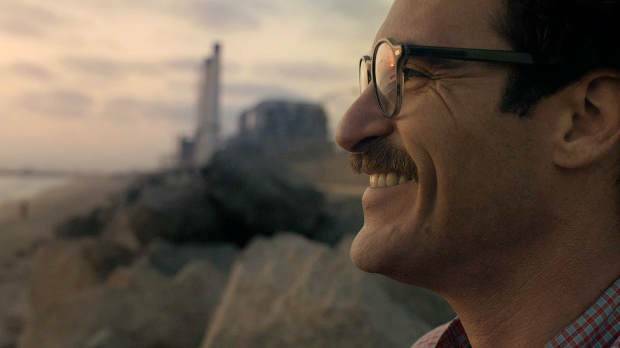 That being said, much like another dramatic rom-com released earlier this year entitled “The Way Way Back.” The familiarity and well-intended cliches sprinkled, intentionally throughout “Drinking Buddies” are overrun by subtle quips, endearing circumstances, and situational laughs carried out by enthralling, relatable characters and heavy, yet luminescent direction. Writer and director Joe Swanberg is superlative both behind the camera and on paper. This results in his most mature, complete offering to date, which is without question, his best. “Drinking Buddies” might come off a bit bland, appear uneventful, and the ending a little too ambiguous for those diluted by the horrid, hackneyed mainstream rom-coms. Nonetheless, to those who can handle the reality of looking in a mirror, “Drinking Buddies” is nothing short of spectacular. What I find to be the most original and well-utilized aspect of “Drinking Buddies” is Swanberg’s ability to poke fun at our vulnerability and stupidity as we succumb to this illusive, complex, intangible cohesiveness called love. Which, by the way, Swanberg portrays effectively and genuinely. I mean, he isn’t simply degrading what ultimately gives our life meaning without direction or purpose. The hilarity throughout “Drinking Buddies” has definition and is a “funny because it’s true” type of humour. While openly mocking our most weak, honest selves might seem a tad cruel. 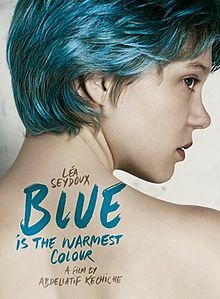 This film and its easily accessed connectivity is a much needed release, I’d even go as far as to brand it a muse. Although not out-loud, body-aching knee-slappers. 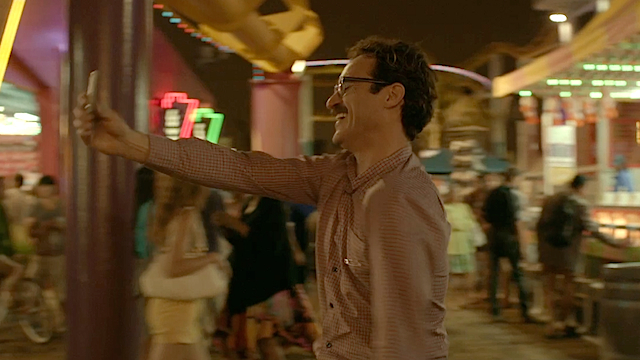 Swanberg’s comedic prowess evokes an array of reaction and emotion that bewilders, uplifts, and saddens. Speaking of cohesiveness, it is something Swanberg and his brilliant cast ooze with. Starring the striking Olivia Wilde and graceful Anna Kendrick alongside the flexible, yet formidable duo of Ron Livingston and Jake Johnson. “Drinking Buddies” has performers and performances that radiate with talent and believability. Undeniably, Olivia Wilde steals the show. She’s funny, smart, beautiful, heartbreaking, just to name a few off the top of my head. I hate to sound like I’m firing off a list of cliched personality traits used in every romantic comedy ever, but I can’t deprive you of the truth. 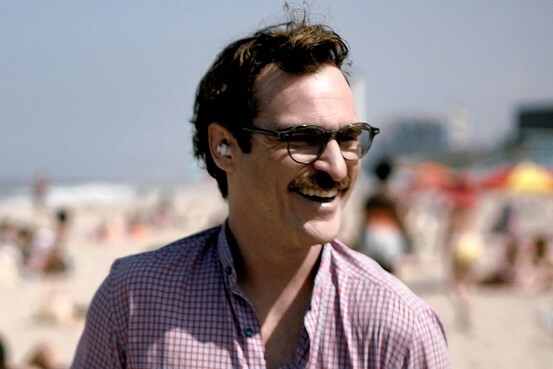 Jake Johnson is nearly as impressive as Wilde, but is outdone, minimally albeit. His performance bursts with the wonder and yearning of a kid in love, mid free-fall. Everything about him is relatable, truthful, hilarious, and empathetic. Anna Kendrick is massively effective in her supporting role. No matter how enraged and disappointed you feel towards her character, she always lures you back into understanding and leaves you completely smitten. Livingston, although the least used, arguably provokes the most diverse reactions. He gives a phenomenal, thorough performance without hesitation or regret. Sweet, honest, and utterly entrancing. 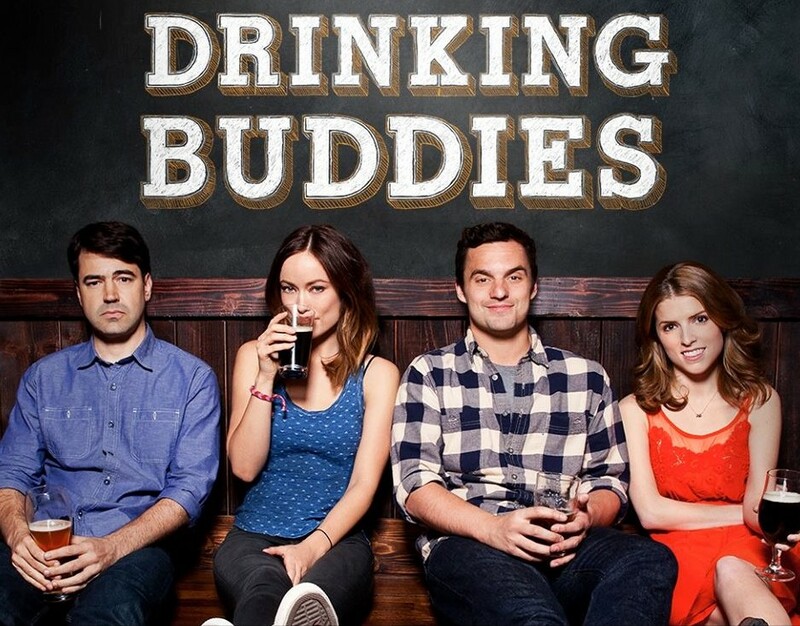 Joe Swanberg’s “Drinking Buddies” is the sleeper hit of 2013. Drinking Buddies: 9 out of 10.